After graduating at the Academy of Fine Arts of Brera (MI), she has specialized in the areas of: Colour, Textile Design, Fiber Art. She was one of the founders of Studio of textile design BLU5, working for prestigious Companies for fashion and for household linen. Active internationally, she has presented his works all over the world: Europe, Argentina, Australia, Brazil, Chile, China, Mexico, South Africa, Thailand, Taiwan. She was Course Director of Digital Textile Design c/o AFOL-Moda. She is lectured at Universities and Academies of Fine Art in Italy (University of Florence, Poli.design, Naba, IED, Domus Academy) and abroad (Shanghai Textile Cadre School, China; Escuela de Diseño de la Universidad Catolica de Chile, Santiago, Chile). 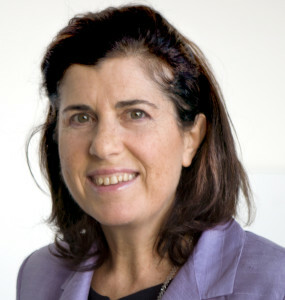 She is member of the jury in many international competitions. She is one of the founders of the Gruppo del Colore-Associazione Italiana Colore (www.gruppodelcolore.it), she was in the Presidential Council for two terms. She is many Scientific Committee . Journalist, was admitted to the National Professional Order of Journalism since 1991 (www.odg.it) – Essayist, she has published several books and hundreds of articles specialized. She has collaborated with entries ‘Color Harmony’ and ‘Color Trends’ of: The Color Encyclopedia of Science and Technology, Springer; 2016.